Finding an affordable treadmill without sacrificing quality can be a tricky proposition. Many of the best treadmill brands don’t even make treadmills under $700. They want all their treadmills to perform to their brands’ standards. And many cheaper treadmill manufacturers cut too many corners. Based on our extensive treadmill testing and research, we have found two treadmills we can confidently say we have found the two best treadmills between $500 – $700. These treadmills are best for those who mostly want to just walk with the occasional jog. But they are a good starter treadmill to help the buyer onto the path to greater fitness. The Horizon T101 is the best of the treadmills we’ve tested for under $700. It has an easy to use console interface so that you don’t have to break out a manual every time you want to use your treadmill. There is a 2.25 CHP motor which allows the T101 to run quietly and smoothly. It is light and can be moved easily but will stay steady while you workout. Follow the link for our in-depth review of the Horizon T101. The ProForm Performance 400i is slightly cheaper than the T101 and it unfortunately shows in some ways. While it has decent cushioning for walkers and a larger 2.5 CHP motor, the Performance 400i is not as stable as the T101. It lacks the stabilizing crossbar that the T101 has, so the console wiggles quite a bit if you break into a jog. However, if you are looking for a walking-only treadmill, the Performance 400i is fairly comparable to the T101. Follow the link for our in-depth review of the ProForm Performance 400i. When it comes to selecting an inexpensive treadmill, consumers should not expect them to function like more expensive treadmills. These treadmills generally can reach speeds of 10 MPH but they are not designed for serious runners. Cheap treadmills are best for walkers who don’t want to battle the weather or have other constraints that prevent them from exercising outdoors. Some jogging can be done and is incorporated into the workout programs preprogrammed into the treadmills. Our top two treadmills between $500-$700 can accommodate multiple users as well as daily use. This may seem like the least you can expect from a treadmill, but when it comes to cheaper treadmills, some companies cut corners too much. But we have put both the Performance 400i and the T101 under a lot of testing and they should both be up to daily usage by multiple users. Aside from allowing you to stay indoors for your walk, inexpensive treadmills offer a bonus that an indoor track can’t give you — variety. With the ability to incline your treadmill, these budget treadmills can amp up any workout and add intensity. 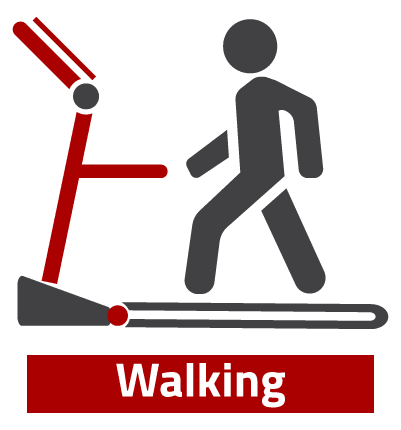 We have a set of standards we use when looking at treadmills. We restrict our comparison to treadmills in the same price range to give the different treadmills a fair standard to be judged against. Otherwise, a $2,000 treadmill would be clearly better than a budget treadmill that only costs $500 – $700. Baseline feel when using the treadmill. Does it handle well when moving at different speeds and inclines? Treadmill’s overall build quality. When it comes to cheaper treadmills, have too many corners been cut? The strength of the treadmill motor. While a treadmill manufacturer may create a treadmill that can reach 10-12 MPH, is the motor strong enough to really sustain running or is the treadmill best for just walking and jogging? Size and weight of the treadmill. Consumers looking to buy a budget treadmill likely also want a compact and light treadmill. How the console interface on the treadmill operates. Is it easy to use with a user’s comfort in mind? Decent treadmill belt area. For a cheaper treadmill, you should expect a treadmill belt measuring 20” wide and 55” long. A max speed of 10 MPH. The ability to incline up to 10% incline but no decline function, as this only comes with more expensive treadmill models. Heart rate monitoring handlebar grips. Built-in workout programs should come with your budget treadmill. You should be able to fold up your treadmill. Build – Buying a budget treadmill doesn’t mean you need to sacrifice the build quality of your treadmill. A good, inexpensive treadmill will have a sturdy metal frame, wheels so you can easily relocate your treadmill, and built-in cushioning. Warranty – Warranties may be a bit shorter when it comes to budget treadmills. But any decent treadmill manufacturer will offer warranties on their treadmill. Lifetime frame warranties are to be expected, while the motor warranty may be between 25-years to a lifetime guarantee. The parts and labor warranty should be at least 1-year in length. However, don’t fall into the trap of third-party warranties. Not all third-party vendors are authorized to offer extended warranties, so if you buy an unauthorized one, treadmill manufacturer does not have to honor the warranty. There are hundreds of treadmill between $500-$700 out on the market today. Many come from completely unknown treadmill manufacturers. So when it comes to finding the best treadmills for between $500-$700, we decided to look at treadmills which came from reputable treadmill brands. 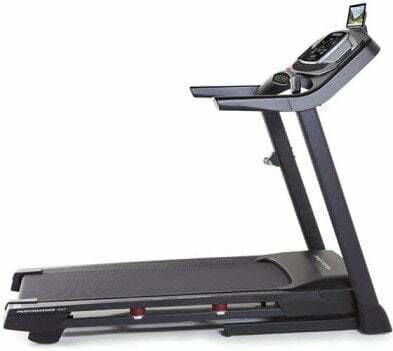 As these top brands tend to focus highly on creating quality treadmills from the structure of the treadmill to the technology, this quality generally doesn’t come cheaply. Which is why we were only able to recommend two treadmills for our best treadmills between $500-$700. 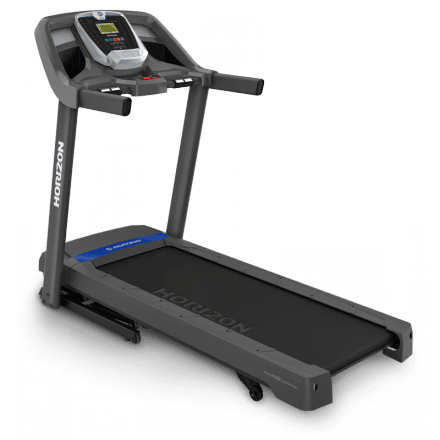 We feel confident that the kinds of treadmills great brands like ProForm and Horizon produce are well worth their price. In the end, the best treadmills between $500-$700 are budget treadmills. They will give you years of reliable service but are not meant for anyone who wants to do more than walk daily or occasionally jog. They are a convenient way to make sure you are fitting in more exercise in your life. If you are looking for a walking treadmill so you can work and exercise, we recommend you check our best treadmill desks page.